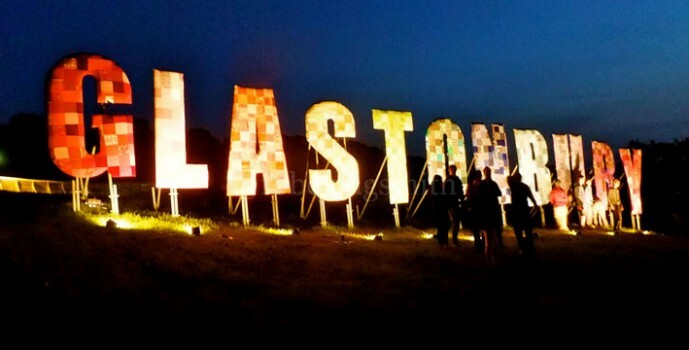 Accelerate dancers Nadz & Aaron Witter performed at one of the worlds largest & star studded festivals Glastonbury. The pair performed with Rita Ora. It was her first time showcasing her talents on the legendary Glastonbury stage, so Rita Ora of course pulled out all the stops to make sure she’ll be remembered. That certainly seemed the case as she went wild on the Pyramid Stage on Friday afternoon. The singer flashed plenty of skin as she wore a bright red dress for her set. Rita gave it her all on stage as she swung her long bleached locks around while blasting into the microphone. She completed her stage get-up with on style black chunky biker boots and red lipstick co-ordinating with her frock.